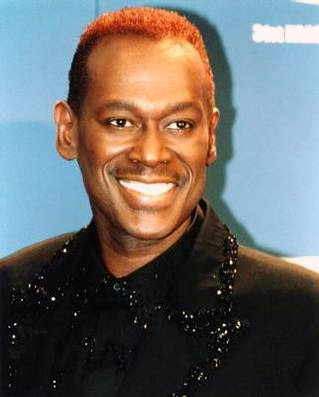 Luther Vandross represents a new breed of male singer. He has established himself as a major force in background singing, a field within which most of the artists are women. His current solo album, "Never Too Much," went gold with weekly sales exceeding 36,000 records. The distinguishing characteristic of Luther Vandross is that he is a singer’s singer. Luther, like Jerry Butler before him, does not rely on gimmicks or vocal tricks, but rather projects an intense and sensitive feeling through beautifully crafted songs. Unlike many of his contemporaries, Luther Vandross’ music is as enjoyable to listen to as it is to dance to. In this interview, Luther Vandross talks about how he broke into professional singing and what his vocal influences are. SALAAM: When did you make a decision that you wanted to be a singer? VANDROSS: There was always a subconscious urge to do that. As a child I always sang. I can remember Baby Washington records. And my sister Pat was in a group called the "Crests" and they had out a record called "Sixteen Candles" and I was singing along with that. SALAAM: At any time did you pursue anything else besides music? VANDROSS: I found myself sitting in the student lounge listening to Aretha’s new album, which at that time was "This Girl’s In Love With You", and listening to the Sweet Inspirations’ new album, which was called "Sweets For My Sweet." For some reason that was like the dominating force for my whole college career and it was like that was telling me something. That was the year Diana Ross had left the Supremes. Both those things were more important to me than anything academic and I just decided I was there for the wrong reasons—doing the right thing for the wrong reason, so I decided to drop out. I went home and told my mother I don’t want to go back to school. She was very encouraging and said, "Well, don’t go back." I started working on a nine to five job. I was a defective merchandise clerk for S&H Green Stamps. Some of the products they give you are defective. A lot of people have to return a toaster or something because it’s not working. So they have to fill out a blue form, which is a defective form. Somebody has to file that form and there I was. SALAAM: Did they have the radio on in the area you were working? SALAAM: So you were back there filing those little blue forms and thinking about singing each day. VANDROSS: Everyday, everyday. I had done that for a couple of years, and finally…you see one of the conflicts in my own mind was that some of my friends were doing musical things. I was like one of the last arrivals. SALAAM: Didn’t you quit school because you wanted to be in music? VANDROSS: I hadn’t then confronted that I was ready. Yes, that was the underlying reason but it’s only in retrospect that I can say that was the reason. VANDROSS: Yes, I wasn’t getting any satisfaction out of school. That was my reason. Looking back on it, I realize that there was nothing more important than Dionne Warwick. SALAAM: How do you think people such as yourself, who are very, very talented, finally make a decision to proceed or not to proceed? VANDROSS: Well, motivation levels are different. That’s the variable, given equal talent and different motivation levels you’ll achieve differently. My motivation level was unconditional. I was absolutely ready to sing or die. SALAAM: So back in high school, did you sing semi-professionally? VANDROSS: It wasn’t semi-professional in terms of us getting any money for it but it was mega-professional in terms of artistic quality because we used to like to sing in the hallways at school. Kids would sing in the hallway in between classes and the teachers would shut them up. But let me tell you, we used to get in the hallways and nobody would say anything cause it was sounding so good. It was me and two girls and it would sound amazing. SALAAM: So, how did you get the break with Bowie? VANDROSS: Okay it was ’74. My friend Carlos, whom I had grown up with, got a job playing guitar for David Bowie. Carlos invited me to the studio. He and his wife, Robin, had gotten married a couple of years before and he is also a singer. As a matter of fact, Robin is one of the girls with whom I used to sing in the hallway. I stated making little vocal arrangements and showing them to Robin. I didn’t know that Bowie had overheard all this. He was sitting right behind me at the board, and he said, "That’s a great idea. Put that down." So I put it down and next thing you know one thing led to another, and I was doing the vocal arrangements for the whole album. I wrote one of the songs on the album. Bowie overheard it and said, "I want to record that. Do you mind?" SALAAM: So this was after he had hired you to do the backgrounds? VANDROSS: Absolutely. As a matter of fact, Bowie went back in the studio to add this song. The album was finished. SALAAM: What is the name of the song? VANDROSS: "Fascination," aka "Funky Music." When I did it, it was called "Funky Music." Bowie changed it to "Fascination." He said he didn’t want to be so presumptuous as to say "funky music" since he was a rock artist. SALAAM: Why do you say, "Oh yea!"? VANDROSS: Because my musical awareness was broad. It extended to the left and right of the people whom I like, and whom my mother likes. It was funny because there is a marked difference between Black families and white families. To me the difference is this: in white families, the mother and the father like Frank Sinatra and Liza Minnelli and the sons like Pink Floyd and the Rolling Stones, whereas in Black families the mother loves Aretha Franklin and the sons and daughters love Aretha Franklin. The mother loves Gladys Knight and the Pips, and the sons and daughters love Gladys Knight and the Pips. SALAAM: You’re talking about musical continuity? VANDROSS: I’m also talking music as an integral part of a culture as opposed to a trendy contribution to the culture. SALAAM: So, you’re saying that Aretha is more than entertainment for us? VANDROSS: This woman ain’t entertainment. She’s done opened the books to my life and told everybody. Like Roberta Flack used to say in "Killing Me Softly," "I thought he found my letters and read them all out loud." We can relate that to everybody. She was the spokesperson for a lot of people and how they feel. SALAAM: How did you extend your listening? VANDROSS: I watched the Supremes on Ed Sullivan and the Beatles would come on. What happened is that I kept my ears open. I was not closed to other peripheral considerations. I just listened. I didn’t like all of that but I found a lot that I did like. SALAAM: Did David Bowie take you on the road with him? VANDROSS: The whole background unit. I had had a little group at that time and I brought two of the singers with me. It was the group that ended up being "Luther" on Atlantic Records and it was a guy and a girl and I told Bowie I wouldn’t leave my group at home to go on the road, so he said, "Well bring them ‘cause I really want you." SALAAM: How as the road? VANDROSS: On certain levels it was amazing. Bowie made me go out and do an opening forty-five minute act for him every night with my own material. I remember the first night I went on stage and did my thing. Some of the people, it was scattered, were shouting "Bowie, Bowie." That was very disconcerting to me that night. Bowie said, "Please. Later for these people. Later for them. You go out there and get your art together." SALAAM: After the tour what happened? VANDROSS: When the tour ended life was wonderful. Bowie introduced me to Bette Midler and Bette had me sing background for her on her album "Songs Are An Expression of Things In The Night." Then word of mouth started getting around—there’s this guy named Luther who does that number. But now one of the contexts you have to understand that the background singing has always been a female dominated area. I was bringing stuff of my own to the sessions that was kind of unique in terms of how to do background vocals. VANDROSS; Oh yea. And later I learned never to give away anything you can sell. So I started charging for this extra bit of approach, which was fine because by this time everyone wanted it so bad that they were willing to pay for it. This was unheard of. As a background singer, they expect you to come in and just make your suggestions and stuff, for free, you know, but I didn’t look at it that way. SALAAM: How did you get into commercials? VANDROSS: Patti Austin had called me to sing on a job with Quincy Jones. She was organizing a session and so we got there to do the record and did the record and we did the duet and there were two jingle producers there. One named Leon Denderaimdes and one named Bill Eaton. Leon started hiring for a lot of jingles and started taking me around on the jingle circuit and once again word of mouth took over and I started getting calls. SALAAM: I’ve read that you were influenced by female rather than male singers? VANDROSS: I was being very candid. I mean, I love Stevie Wonder and I love Teddy Pendergrass and I love Donny Hathaway and Tony Bennett for that matter, but they were not the ones to arouse my musical libido. It was those nights with the earphones listening to Aretha sing "Ain’t No Way" and listening to Dionne Warwick sing "People" and listening to Diana Ross sing "Reflections." It was those nights that just knocked me down. I emulated these people. But I didn’t just sit down and try to copy their stuff. And as a result of having a lot of female singers as my idols, my sensitivity level is much different than a lot of other guys singing. That’s what I think people hear when they hear me singing. They say this guy sings really sensitively. I think that that is part of it. I sing and I write and I think I’m really good but I don’t think I’m pioneering. I look at Aretha as the Daniel Boone of R&B. This woman got on TV and pioneered that type of singing to a mass appeal. Did you see Aretha in the "Portrait Of A Legend" flick? It showed how she was very young and out there singing her brains out to pop audiences, but she didn’t compromise any of her musical feelings. She was Aretha from day one. And she said well, you’ll come around so I’m not going to you. You’re going to come around to what I do. That’s why I respect her so much. I also respect Dionne Warwick so much for not falling into another type of trap. Dionne Warwick is one of the early pioneers, along with Diana Ross, a Black singing pop. Of course, there is Lena Horne and those earlier people, but Dionne Warwick and Diana Ross pioneered. Dionne Warwick did grow up singing in church but her records were some of pop music’s biggest assets and I just absolutely love that about her. I love the fact that she sang "Alfie." SALAAM: How did you hook up with Nat Adderly, Jr., who arranged some of the music on your album? VANDROSS: We grew up together. I always respected Nat’s father. Nat was the little genius of the bunch of us, even at the early age. I guess being with his daddy and stuff and talking that "B flat, F sharp" talk, Nat always knew music, even at age thirteen. Nat would tell you he’s going to play a C flat, major ninth and augment it and go through all of that, even at that young age. He was like the neighborhood resident genius. SALAAM: Who was responsible for the bass parts on "Never Too Much"? SALAAM: Did you write it out or what? VANDROSS: Well, I specifically sang all the notes I wanted them to play. SALAAM: So, you knew exactly what you wanted to hear? VANDROSS: Absolutely. You hesitate saying that ‘cause you don’t want to come off sounding strange. But that’s just the way it happened. I knew exactly what I wanted to hear from the bass in that song. There are other songs like "She’s A Super Lady." The stuff on "She’s A Super Lady" was as much a surprise to me as it is to you when you hear it. The boy was just fired and came up with these brilliant licks. But on "Never Too Much," every note is specifically the way I want it. SALAAM: That’s the point. In other words you are not a frustrated performer. Everything does not have to be your way? VANDROSS: What the real lesson is in that whole thing is that you have got to be flexible. You can’t make it a rule of thumb that you just sing everything to the bass because it happened successfully once. In "Never Too Much," I wanted something very specific. In "She’s A Super Lady," I just wanted my chords followed. Go for yourself. Whatever feels good. It’s that flexibility that allows both things to work well. That’s absolutely the way I want it. I often have a specific idea, but there are times when I don’t. SALAAM: Is there anything else you’d like to say? VANDROSS: Well, my record is gold. I’m happier now than I’ve ever been. It’s funny to start a career at thirty as opposed to starting it at twenty-one like you thought you would. SALAAM: What do you want to do next? VANDROSS: A new album and after that I’m going to sit down and assess my career. I don’t want to be an artist who goes form just album to tour to album to tour to album and then oblivion. I want to do other things. I don’t know what that means right now. I have a closet desire to be a standup comedian. I’m going to give that a try. I mean when I get enough hits that I can headline and take out ten or fifteen minutes to just try. I’m going to try it. I’m definitely not afraid of falling on my face but I’m not going to fall on my face. I want to try all this stuff. Kalamu ya Salaam is a <?xml:namespace prefix = st1 ns = "urn:schemas-microsoft-com:office:smarttags" />New Orleans-based writer and filmmaker. He is also the founder of Nommo Literary Society - a Black writers workshop.